Guilin Hong Cheng wear-resistance division is a subsidiary elite team of Guilin Hong Cheng Mining Equipment Manufacturing Co., Ltd., specializing in surface engineering and manufacturing wear-resistant alloy. 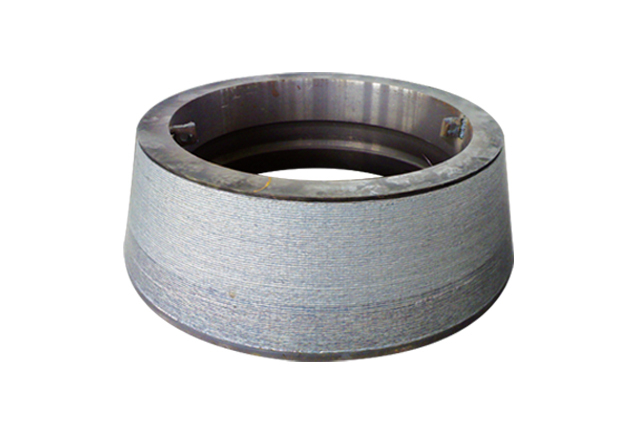 After ten years of deep cultivation, Hong Cheng wear-resistance division accumulated solid production technology and professional career professionalism, good reputation and credit, to continuous offer high-quality, stable performance of wear-resistant alloy fittings for mining equipment. With the rapid economic development, under the huge sliding and traction of the market, wear-resistant materials greatly promote the energy-saving, materials-saving, energy consumption reducing trend to form a considerable market environment. Hong Cheng surface wear-resistant alloy products, from new manufacturing to online or offline hardfacing construction, enjoy superb production technology and professional equipment, has been widely used in the field of iron and steel industry, cement, hydropower, mining and other fields, have the advantages of increase the equipment effective operation rate, improve product capacity and quality, reduce labor intensity, prolong equipment service life and other significant advantages, can bring customers considerable market profit, deeply favored and praised by the market. Vertical mill is important powder-making equipment for thermal power plants, cement plants, steel plant and other industries. Spare parts of the mill is easy to be impacted and wore out by bulk materials and powder particles carried by high-speed air stream. To choose wear-resistant material is more realistic significance under the current situation of the rapid development of circular economy. 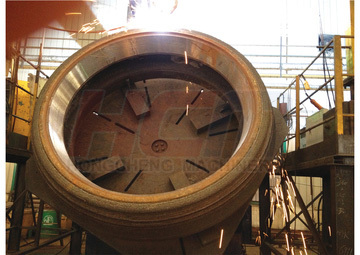 Vertical mill wear-resistant materials mainly used in grinding roller, grinding plate, separator and mill linings, chutes, pipes and other parts. Guilin Hong Cheng Wear-resistant Division can use different materials and processes to manufacture wear-resistant parts based on their own capabilities and work conditions. 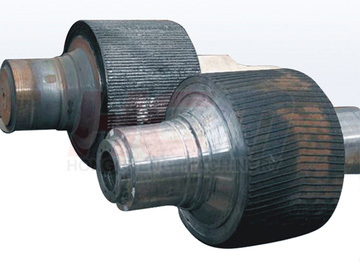 Vertical mill grinding sleeve and plate are made of low-alloy steel with surface recombination CrMoV high wear-resistant alloy, can effectively improve the wear-resistant and impact-resistance, improve the comprehensive abrasion ability, can flexibly adjust wear-resistant characteristics under complex working condition, to achieve purpose of recycling use, improve production efficiency, reduce costs, safety and reliability. Composite wear-resistant steel plate radiating range is very wide, it can used in any equipment where the most serious wearing place in cement, glass, power, steel, chemical and other industries. Guilin Hong Cheng wear –resistance division manufactured composite wear-resistant steel plate, surfacing on a deposited layer of certain thickness wear-resistant alloy, hardness reaches to HRC58-63 which makes the plate wear-resistant and service life over low-carbon steel plate more than 20 times, at the same time with a good impact-resistance, heat-resistance, high abrasion resistance and other advantages. Cement Industry: Ash pipelines, vertical mill liner board, crusher parts, impact plates, high-efficiency classifiers, chute and hopper, mixer blades, fan blades. Metallurgical Industry: Powder and air conveying system, blast furnace slag system, screw propeller blades, wear-resistant pipeline, chute, bucket and slag hopper, material storage. Power Industry: fan blades, combustion pipelines, transport tanks and hopper liners, crusher parts, coal mill parts, ash output port, air handling systems and transport aircraft. Iron and Steel Industry: hopper linings, feeder and seat, dump trucks, hoppers, pipes, casing shells, crusher parts, and slag output port, a variety of chassis, vibration sieve. High Cost Performance: Considering the service life, maintenance costs, downtime loss etc., and its cost performance is about 2-4 times higher than ordinary materials. Easy Processing Performance: Wear-resistant composite steel plate can be deformed, welded, can be processed into a variety of wear-resistant parts. Roller press comprises two opposing synchronously rotating squeezing rollers (active roll, fixed roller), the roller press grinding system allows the grinding equipment production capacity into full play, can be used for pre-grinding raw materials and mixing materials grinding. Wearing problem of roller press surface has plaguing the full display of roller press superiority during its operation; therefore, roll surface wear-resistant alloys capability becomes the key to ensure its service life. Good performance and excellent quality roll surface wear-resistant and hardfacing engineering can take advantage of high efficiency, low energy consumption of the roller press, can also provide professional technical support for the normal operation of the equipment. From materials technology to surfacing construction, Guilin Hong Cheng wear-resistant division can provide the roller press surface wear-resistant alloy engineering more suitable, more effective site implementation, more scientific and reasonable process design, more reliable product quality and service. Surfacing welding as an economical and fast process for surface modification of materials has been widely used in manufacture and repair of parts in various industrial sectors. High quality, efficient, low dilution rate of surfacing welding technology is the key factors of surfacing layer’s effectively play. Guilin Hong Cheng Division has a professional, efficient, high degree of automation of welding technology, surfacing device can be used for large-scale coal grinding, extrusion, roller, vertical mills and other equipment by providing online and offline reactors surfacing engineering construction, mainly consist by the wire feeder, cross walk, numerical control systems, main power supply; available for submerged arc, open arc welding and gas construction insurance surfacing construction. 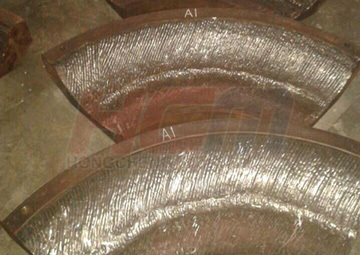 Among them, the flexibility of the wire is very strong, you can choose different wire depending on the material to achieve different wear-resistant layer, to get the best wear results; four-wheel wire feeder equipped with water-cooled torches can be a powerful guarantee for the smooth and continuous, efficiency operation; high-strength aluminum alloy X-axis and Y-axis adopted stepper control system is to ensure stable and reliable travel displacement, and easy operation, quick installation work effectiveness. 2. Impart certain surface properties such as corrosion resistance,high temperature resistance, and wear-resistant.